Here at Brian Farrington (one of the world’s first procurement consultancies :) ) we’ve been thinking about the International Festival for Business and how to make it truly a valuable event for visitors and buyers. Our focus is buying, and we thought asking the following three questions would be helpful to you when meeting potential suppliers, vendors contractors and partners (let’s call them “IFB-ers”). 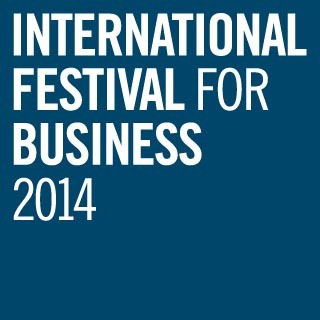 The Festival is aspiring to be a fast-paced, dynamic environment to establish and develop trading relationships. You want to gather information – fast – and you want to analyse whether to take the discussions to another level. So how do you ask the right questions to filter out those people who really ‘get’ what you want and will be ‘right’ for you? Remember this isn’t the time for a PQQ type of interrogation, you want them to open up to you – let’s get the basic (and understandably necessary) information later. You want to find out what doing business with them will really be like. So leave the Quality, Finance, Sustainability, etc pop-quiz for later. Here’s three questions that get the IFB-ers you meet talking about themselves – and give you a better chance of taking discussions to the next level. Question 1: Why did you think I was the right kind of buyer to approach? I’m not saying you jump right in and say this, don’t be off -putting but let’s’ remember there’s a lot of people to meet. You want to be approached – but not sold to, surely? Apparently there’s going to 200,000 people attending the Festival and some (many?) will approach everyone they can! But they may give little thought as to why they are doing it. That can’t be good news for buyers. Do you want to be just another standard buyer? Or part of a market sector that an IFB-er is focusing on. Your time is valuable! You want to be opening a dialogue with IFB-ers that have market knowledge of your sector or shared professional interest. Or where you fit a buyer profile that the IFB-er is actively looking for. There’s a better chance of establishing a better and more professional relationship that way. One where the IFB-er will want to continue to develop a partnership with you. Question 2: What do you think makes you different? Please tell me, you’re going to walk away if they respond by saying price, service and quality? Okay, maybe not; these facets are important, but how do you get that 1 to 10% of IFB-ers that have thought about the innovative, unique(?) and genuinely useful propositions for your business? Here’s their chance to tell you what is different about them that aligns with your own issues and aspirations. Now, a positive answer to this question really can deliver on all that good marketing and vibe we’ve been hearing about the Festival. Question 3: What added value can you bring to my organisation? The ideal IFB-er will love the opportunity to answer this question. An IFB-er that’s let’s say sub-optimal or a run of the mill salesman-type will no doubt focus on cheap prices. Maybe that’s what you want, I don’t know, I’m just thinking there is more on offer. Your ideal IFB-ers added value emanates from their knowledge and skills in their total offering. Their value isn’t just their track record; although a relevant case study/example would be welcome. Their added value includes the qualities of perseverance, vision, commitment and flexibility (backed up by real-life evidence). Their knowledge, skills and behaviours matched with an openness to share their expertise with you, will, we believe, be a valuable asset of the ideal IFB-er. Three good questions to start you off, though a checklist of other pertinent question are needed as follow ups. If you need some ideas get in touch – we’d love to help. During the IFB we are offering free consultations to buyers visiting the International Festival for Business who are looking to engage with suppliers, vendors, contractors and partners. Our team of procurement specialists will be on hand to offer advice on how to establish and develop trading relationships efficiently and effectively. For more information or to arrange an appointment please contact Ray Gambell (or call me on 01744 20698). So, three questions you should ask at the Festival – try them out, I’d love to hear how you get on – and have a great Festival! Liquidated Damages – It Could Sink You! Is your procurement process going to be featured in Court? What else is there outside the trinity of KPIs?